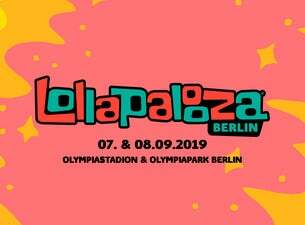 For the fifth edition on 7th and 8th September 2019, Lollapalooza Berlin will return to the capital city and will be taking place at Olympiastadion and Olympiapark Berlin. There will be no camping space, but the train connection to the city, to Potsdam and the surroundings are very good. Lollapalooza Berlin is far more than a stripped-down music festival. Highlights like Kidzapalooza, a festival at the festival welcoming all kids, Der Grüne Kiez (Green Neighbourhood) dealing with topics like sustainability and social responsibility and the spectacular Lolla Fun Fair celebrating oddity, acrobatics as well as art and installations all over the festival grounds take the festival experience to a whole new level. Lollapalooza Berlin tickets are available at Ticketmaster.